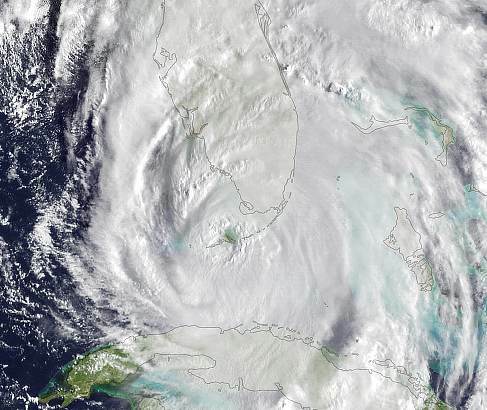 The 2019 Atlantic hurricane season could see as many as 7 hurricanes according to forecaster Climate Forecast Applications Network (CFAN), who expects that El Niño conditions will weaken and could transition to ENSO neutral by peak hurricane season this year. Other forecasters we’ve covered so far this season are all on predicting a 2019 Atlantic hurricane season with average to slightly below average levels of storm activity. Across the forecasters we track the average number of hurricanes predicted was 5, but CFAN has come in with a higher number, forecasting that 7 Atlantic hurricanes could form during the 2019 season and also saying that 2 of them could make landfall in the United States. In fact, CFAN also suggest that Florida may not be in the clear in 2019, suggesting a chance that at least one hurricane tracks into the state, based on 2019 forecast factors. CFAN forecasts that Accumulated Cyclone Energy (ACE) for the Atlantic hurricane season in 2019 will be around 125. This is significantly higher than the ACE forecasts from others, ranging from as low as 60 to as high as 110, but averaging between 80 and 90. So, CFAN’s ACE forecast is considerably higher, leading to a forecast calling for more hurricanes to form in the Atlantic in 2019, with a chance of more landfalls and overall a forecast for an above average 2019 hurricane season. The main factor at play here is El Niño. The other forecasters have all said that they expect El Niño to persist into the peak of the hurricane season, with El Niño conditions likely right through to October or November. Conversely, CFAN’s forecast calls for the climate to transition away from El Niño conditions, with CFAN’s ENSO forecast for Sept-Oct-Nov 2019 calling for a 60% probability of ENSO neutral conditions, with a 40% probability of weak El Niño conditions persisting. El Niño has a significant influencing effect on trade winds, wind shear and also steering conditions for hurricanes, hence it has an influence on their chances of organisation/formation, ability to intensify and direction of travel. The forecast for ACE of 125 and 7 hurricanes remains, “subject to considerable remaining uncertainties due to conflicting stratospheric and tropospheric indicators in recent months,” CFAN explains. Unlike some long-range hurricane forecast attempts which are largely based on current and projected sea surface temperature anomalies, CFAN’s seasonal forecast for 2019 Atlantic hurricane activity is based on climate conditions and tendencies observed in data from January 1st through March 23rd 2019. It remains very difficult to predict hurricane activity with complete accuracy this far out from the season when ENSO and El Nino conditions are likely to play a significant role, but the different approach taken by CFAN is a useful input to overall expectations for the season ahead. Adding the CFAN 2019 hurricane forecast to the other forecasts we track now gives us an Artemis average forecast for the 2019 Atlantic hurricane season of 13 named storms, 6 hurricanes and 2 major hurricanes, with the number of hurricanes now raised by 1. In terms of ACE, the average for the 2019 Atlantic hurricane season across the forecasters that provide it is now 93.